With 1 in 5 children in reception classes either overweight or obese, rising to every 1 in 3 children in year 6[i], it is more important than ever that children in the UK are being offered fresh and healthy food at every meal. 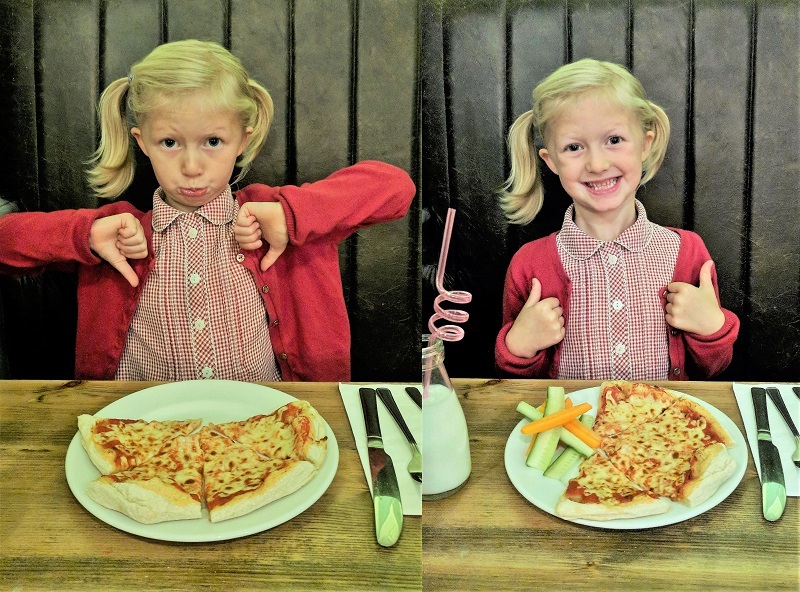 Restaurants, cafés and pubs increasingly have an important role to play in influencing what children and their families regard as good food, especially when it comes to the ‘treat’ of going out to eat. Research shows that around 40% of parents now eat out with their kids at least once a fortnight. Meanwhile, 66% of parents say they don’t think kids’ food in restaurants is good enough[ii]. Following the success of the Soil Association’s national Out to Lunch Campaign, which has so far supported some of the UK’s most popular restaurant chains to improve over 70 million meal options served to children, Calderdale’s Public Health team are the first to commission Out to Lunch on a local scale. With the help of 20 local secret diner families, Out to Lunch surveyed 20 cafés and restaurants nominated by Calderdale parents and has published the 10 with the highest score. Out to Lunch can reveal that a number of Calderdale’s local independent restaurants, cafés and pubs are doing better than national restaurant chains when it comes to serving fresh and healthy food for children. Italian restaurant Prego, at The Waterfront Lodge Hotel in Brighouse, took the number one spot, outperforming chains in the national survey, including ASK Italian, Nando’s, Zizzi and Las Iguanas,1 with its family friendly atmosphere, healthy choices and fresh produce. Restaurants and cafés including La Perla, Park End Todmorden, and Pizza Express are making efforts to serve healthier carbs instead of chips. Restaurants and cafés including Park End Todmorden are offering a great range of meat-free options packed with veg. 100% of the meat on the children’s menu at Prego, Coffee Culture café and Shibden Mill Inn is British. Prego, Shibden Mill, Coffee Culture and Pizza Express only serve free-range eggs on their children’s menu. Only three of the 20 eateries surveyed serve a portion of veg with every children’s meal (The Old White Beare, Willow Tree Café, Frankie and Benny’s). Only four eateries include and promote fruit on their children’s pudding menus (Prego, Shibden Mill Inn, Frankie and Benny’s, Pizza Express). Only three eateries include some information about ingredient provenance on the menu and only two are celebrating their use of local Yorkshire produce by mentioning it on the menu. Surprisingly, considering they offer children’s menus, seven of the eateries did not offer baby changing facilities and one did not have any high chairs available. Serve two portions of veg with every child’s meal. Ensure children’s puddings are an appropriate portion size. Make water freely available and stop promoting sugary drinks to children. Offer children’s portions of adult dishes. Offer quality ingredients such as free range and organic on the children’s menu. Provide children’s cutlery as standard. Make breast feeding mums feel welcome. [ii] Wetherspoons, Beefeater, Brewers Fayre, Strada, TGI Friday’s, and Pizza Hut have all improved their children’s offer in response to the Out to Lunch campaign. Collectively these chains serve around 6 million children’s meals every month – over 70 million this year.